I thru-hiked the Appalachian Trail and carried an Icicle Creek 5 degree bag the whole way. I still use it today but am looking for a new one cause it isn't quite as warm anymore. Bought it from REI back in 03. I Love it. Fill: Can't remember....bought it 5 years ago. 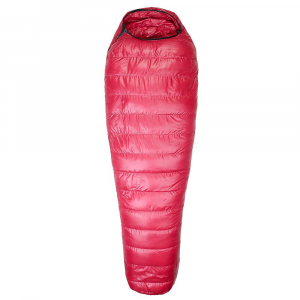 Weight: Not sure.Seems pretty light for backpacking use. I bought this bag from REI 5 years ago. 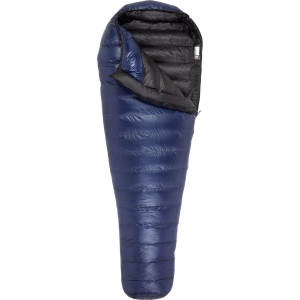 When I ordered it, I was a little skeptical about buying a goose down sleeping bag for under $100. (I'm a tight wad) Turned out, this was a great deal. I really like this bag. Fixing to pack it up and head to the mountains (Colorado) to go backpacking next week. I have used it in the snow (unexpectedly), and it kept me warm. It came with two stuff bags. One small for backpacking and one large for storing. If you are thinking about buying one... go for it! 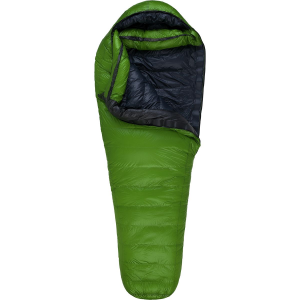 Was a great sleeping bag. I slept in falling snow with no tent and was warm all night (except my nose). After about sixty nights camping the fabric began to rip, so I started superglueing it. It ripped in another place too so I superglued that. Then the zipper started tearing, and then it came off its track. 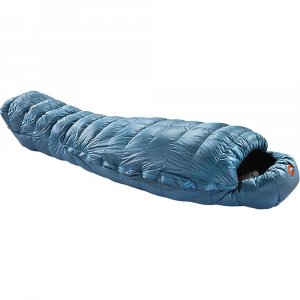 I don't really expect a sleeping bag to last through more than this one did, but it would be nice! Very warm, very economical, could probably be more durable. I purchased this little known brand mummy bag from REI-Outlet.com for a hair under 95 bucks (saving a whopping 50% off cost) so this weekend I finally got to put it to the test in 13 degree temperatures. I must say I was a bit chilled that night but come morning the temps rose close to 30 degrees and then I was warm and cozy in this bag. The +20 Degree Mummy has been discontinued. The Icicle Creek +20 Degree Mummy is not available from the stores we monitor.